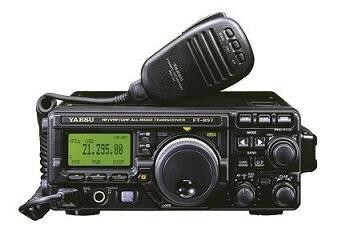 Articles of interest for WVCG Members. 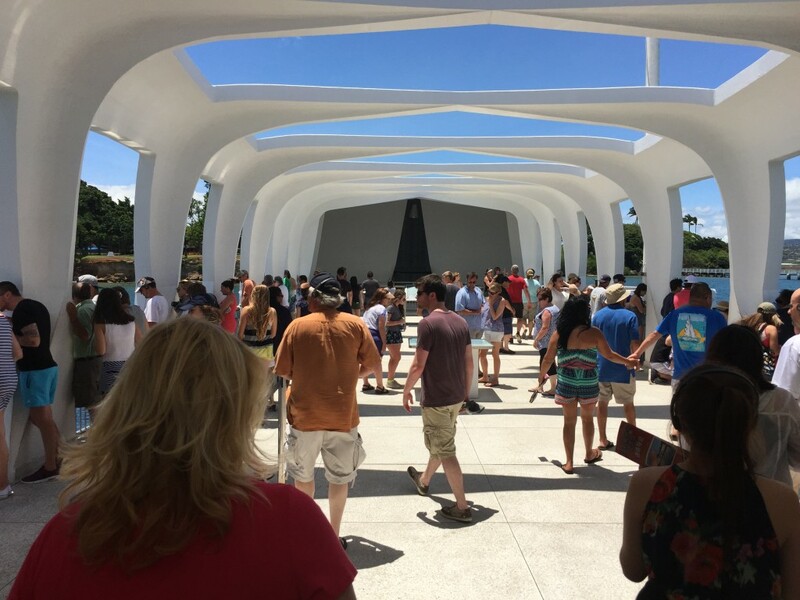 In early July 2015 I was in Hawaii on a family re-union and took the opportunity to visit the Arizona Memorial at Pearl Harbour. 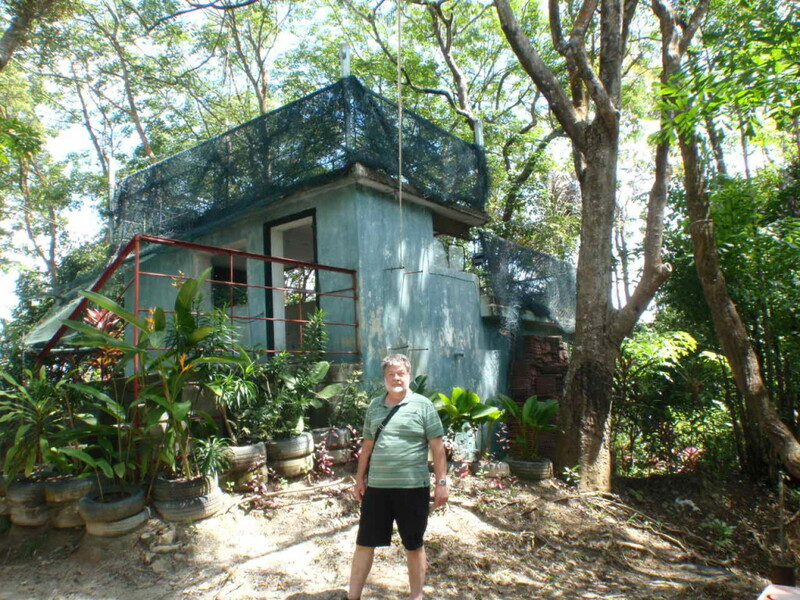 This is still a large operational base, so the authorities have constructed a visitor centre with extensive gardens on the western side of the harbour, easily accessible from Honolulu via the main freeway. On arrival we were advised that entry to the Arizona Memorial was free, but we were required to book ahead and individual tickets were issued after sighting ID. (Passports for foreigners, drivers licences for US citizens). The base was on high alert due to the recent Independence Day celebrations. A ticket was also required for my 2-year old grand-daughter. There were charges to visit other nearby sites including USS Bowfin (a WW2 submarine), USS Missouri (where the Japanese surrender was held) and the Pacific Aviation museum. At the appropriate time we were taken to an auditorium to view a film of the attack on Pearl Harbour, which included an analysis of prior Japanese history which I thought was very balanced. The Arizona memorial is only accessible by barge as the ship is located alongside mangroves adjacent to Ford Island across the harbour. We boarded the barge manned by US Marines, and were taken for a short ride across the harbour to the Arizona site where an open memorial building has been constructed across the ship. It is painted in dazzling white and stands out starkly against the mangroves, the water and the nearby ships and buildings. On entry to the memorial you immediately feel the reverence of the building as it sits a-stance of the ship still housing some 900 sailors who were unable to be saved when the vessel rolled over and sunk. The outline of the ship is visible from the visitor platform and the housing of one gun is still visible above the waterline. The Arizona still leaks bunker oil, but as the ship is a war grave no-one is allowed to enter it. 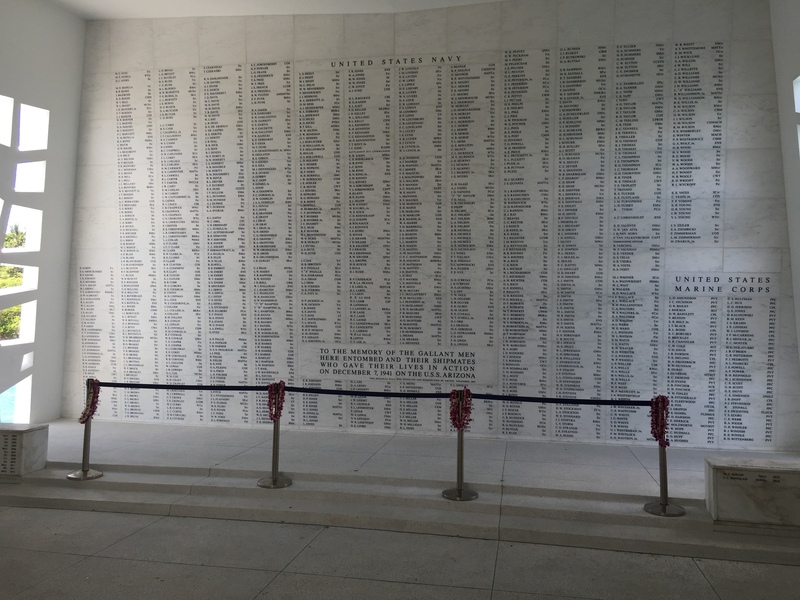 Around 2400 US personnel lost their lives during the attack, and their names are inscribed in a marble wall on one end of the memorial. One interesting feature of the memorial, described to us by the duty personnel, is the ability of former Arizona crew, who survived the war, to be interred in the ship with their former shipmates. To date 9 former crew members have accepted this offer, and their names are inscribed on a separate marble monument on the memorial. After the visit we had lunch in the extensive memorial gardens, which also has a display of those who lost their lives, and a bronze map of the location of the various vessels during the attack. 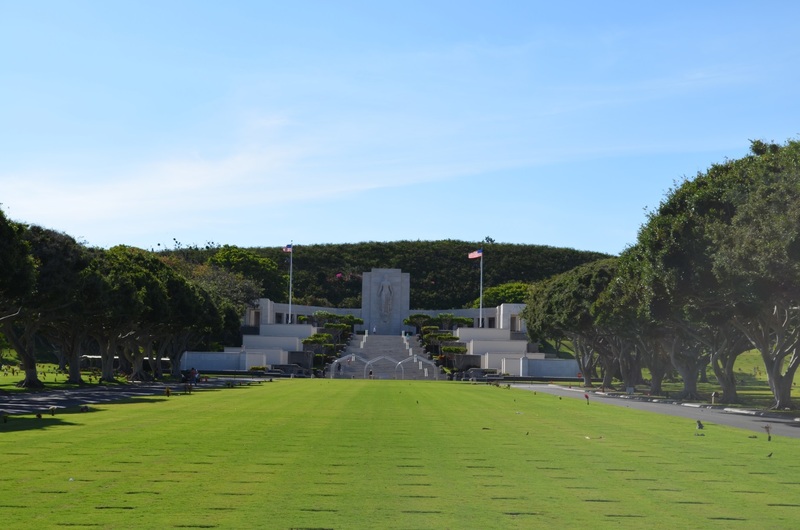 On the way back to Honolulu we visited the National Memorial Cemetery of the Pacific located in the crater of a huge extinct volcano which houses around 13,000 headstones of US and Allied personnel who died in the Pacific during WW2. Mick and Deb JENNER and Tony and Jo VAN RHODA visited the Taukkyan War Cemetery in Myanmar (Formally Burma) about 35 kilometers from Yangon (Formally Rangoon). We were surprised how beautifully the cemetery was being maintained. 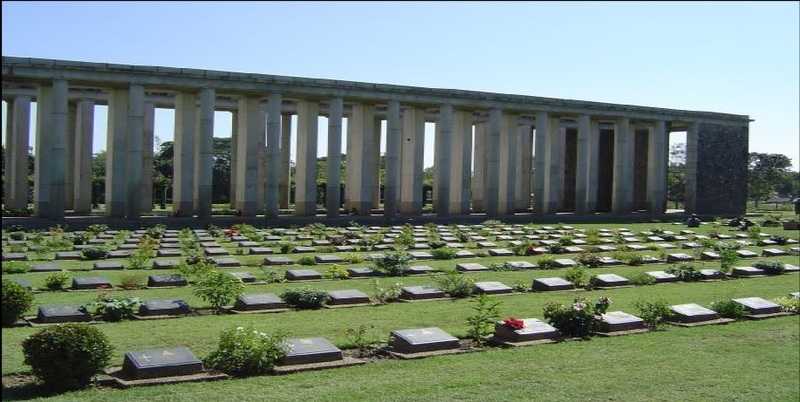 The Taukkyan War Cemetery is the largest of the three war cemeteries in Myanmar, It was started in 1951 to consolidate the graves from four remote battlefield cemeteries, all of which were extremely difficult to access for friends and relatives. The different battlefield cemeteries have been kept distinct within the grounds of the Taukkyan site. 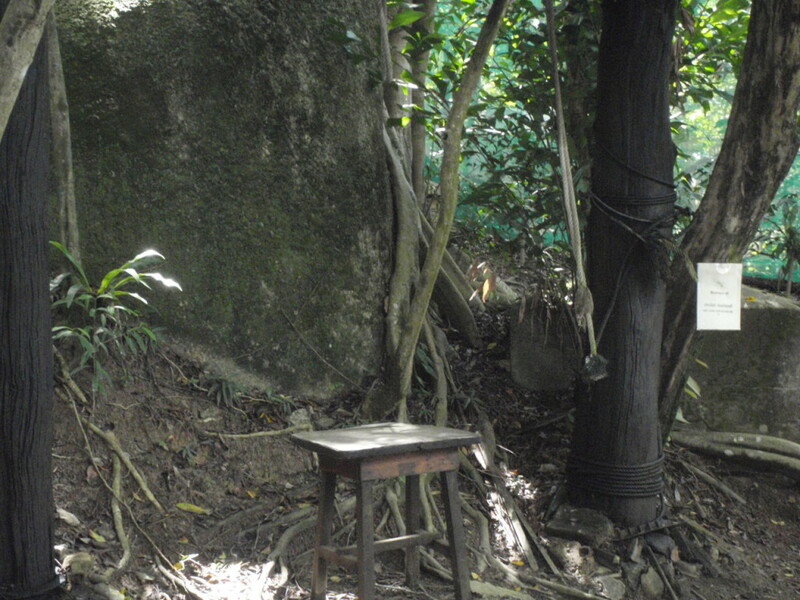 Numerous other bodies were retrieved from smaller remote jungle sites and also brought here, but the continuing conflict in Burma after the war delayed the work of the Army Graves Service. More graves are still being found, but so far the cemetery contains 6,374 bodies of Commonwealth soldiers. Of these 867 are unidentified. 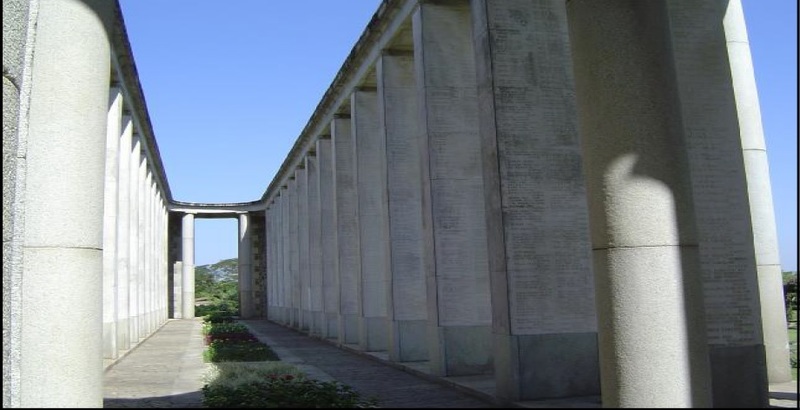 The central pillars are the Rangoon Memorial, bearing the names of 27,000 men who died during the campaigns in Burma and whose body was never retrieved, along with the inscription “they died for all free men”. We all agreed our visit to the Taukkyan War Cemetery was one of the highlights of our holiday in Malaysia and Myanmar and well worth the visit, though hard to access as Myanmar which is a poor country is only just opening up to tourism and not yet up to the standard we are used to like those found in more affluent Asian countries. It was a visit Mick and I had planned to do for a long time. 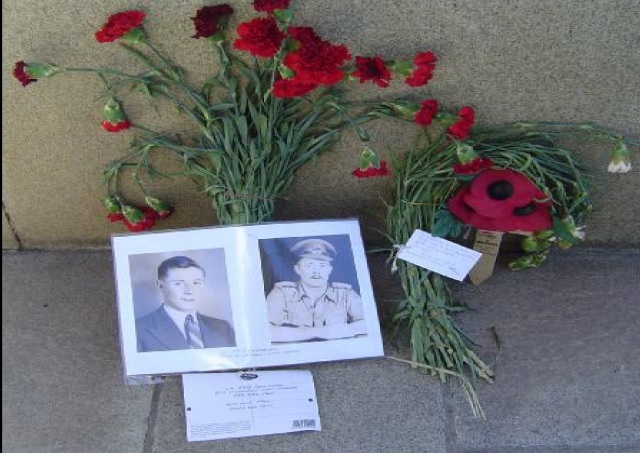 Flowers and photos of one of a still missing in action serviceman left by relatives who recently visited the memorial, it is seeing the young face and the not knowing what happened that makes you feel sad. 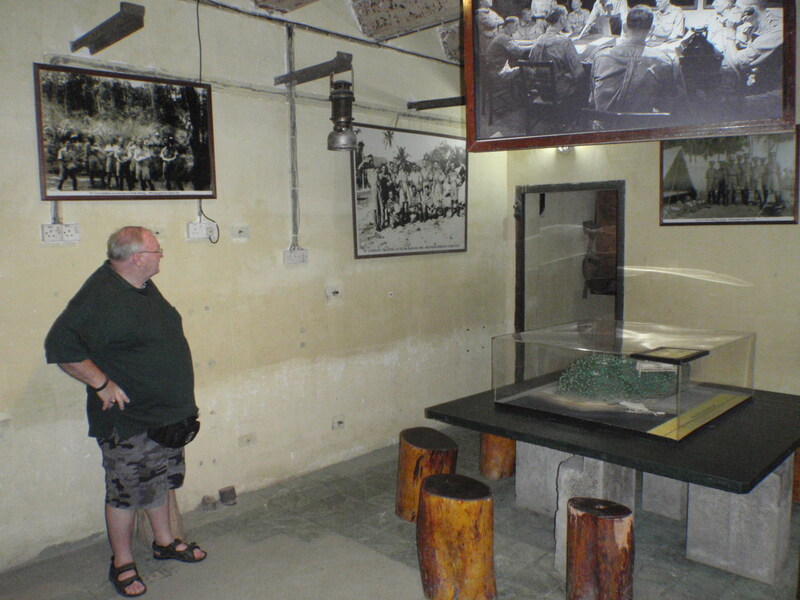 Mick Jenner and Tony Van Rhoda visited the Penang War Museum while on holidays in Malaya. 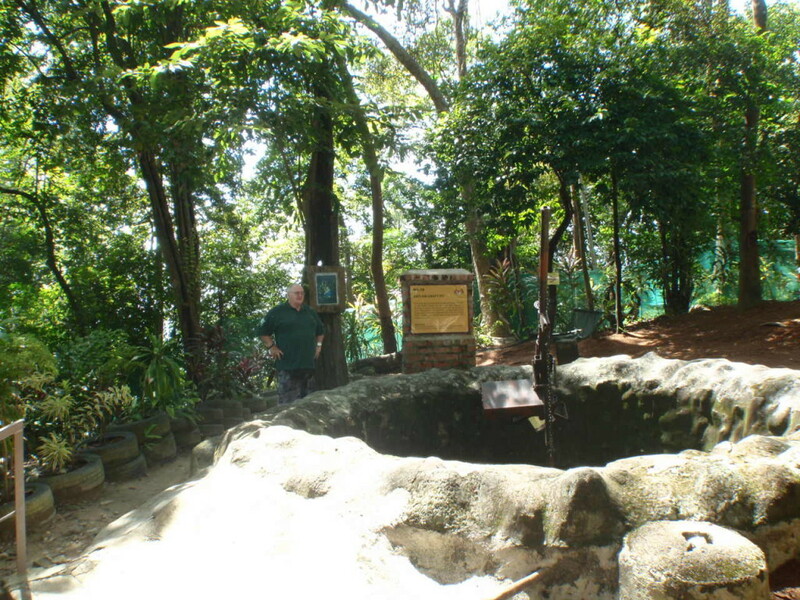 The site has a very checkered history being a Japanese POW camp during WW2. 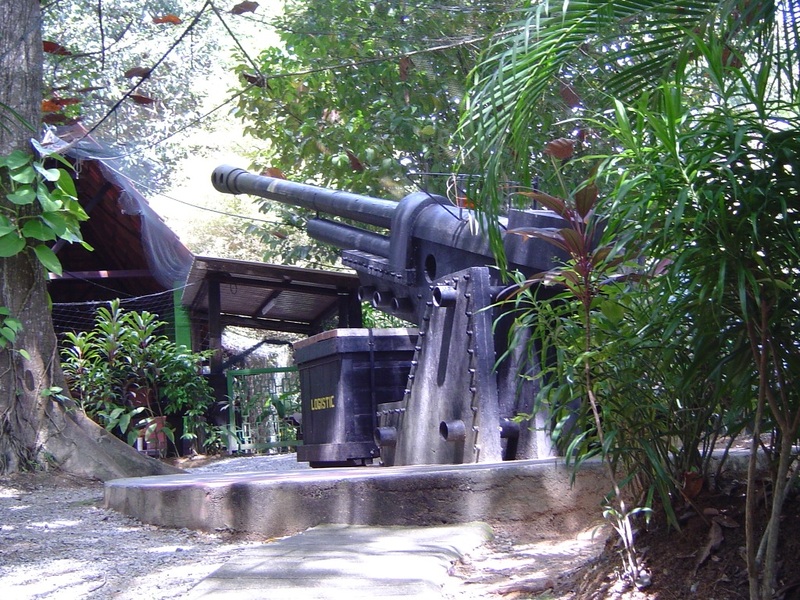 Initially built as a fort by the British in 1930 to guard the Malacca straits, it included 2 15in naval guns facing out to sea from re-enforced concrete gun platforms. Other facilities included 100 ft of tunnels for ammunition storage, a command and intelligence centre, and a submarine wharf. It was staffed by British Marines, Indian troops and local militia. 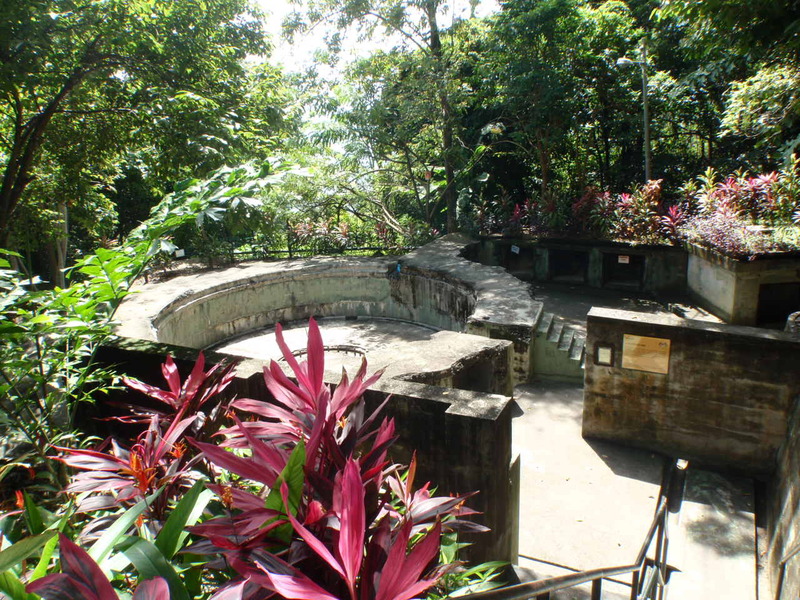 The Japanese invaded by land in December 1941, and after a pitched battle the British evacuated the base which was then occupied by the Japanese. 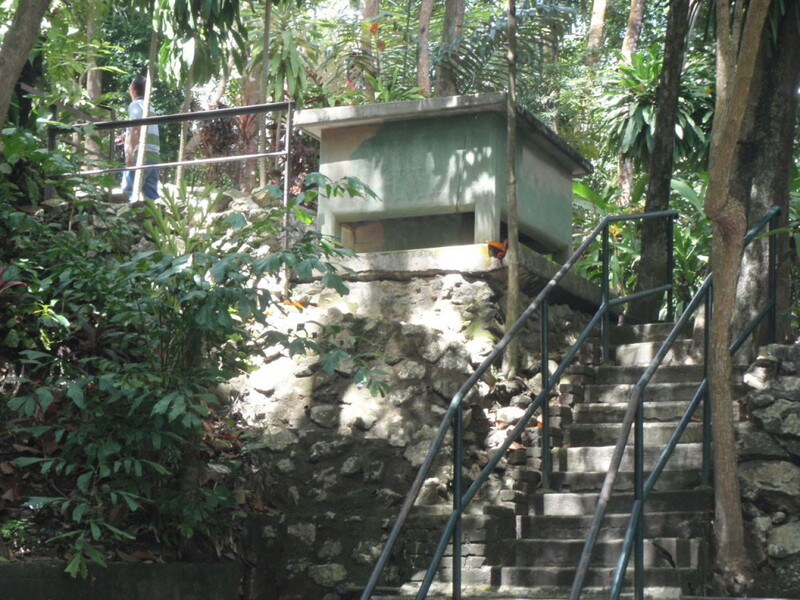 They subsequently used it as a base for spreading propaganda (to Singapore) and for interrogation, torture and execution (mostly of locals). 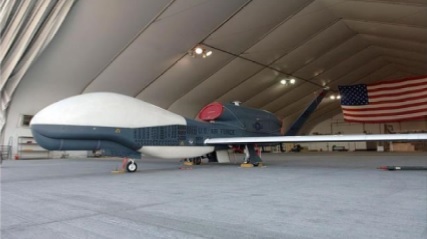 It was also used later in the was to indoctrinate future kamikaze pilots. 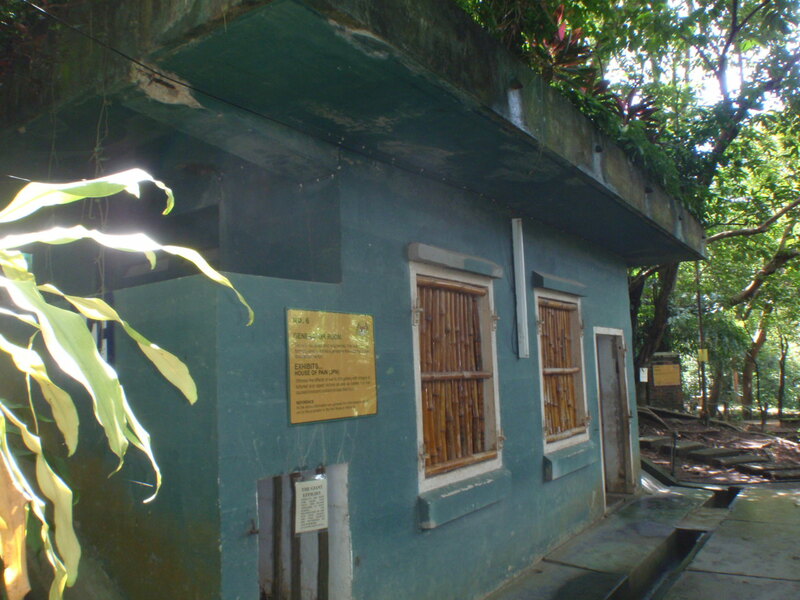 After the war the base fell into disrepair and was overtaken by jungle. The local population avoided the area due to the “bad spirits” lurking there, and after several generations many did not even know of its existence. 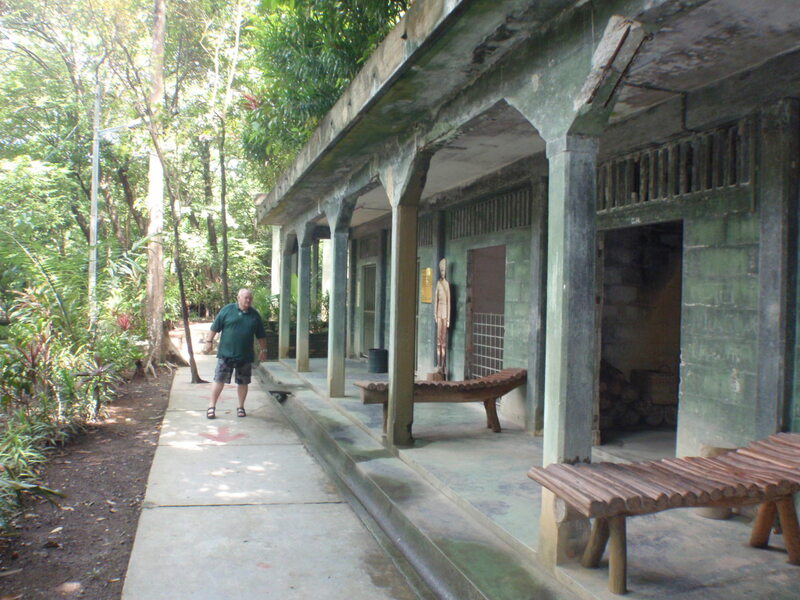 In 2008 the area was cleared of jungle and re-opened for public access. 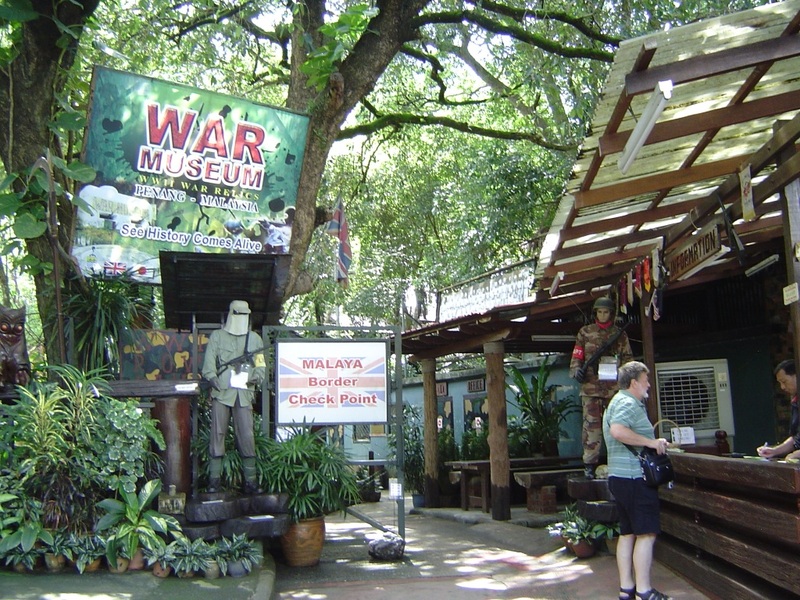 It is also used today as a paint-ball site, and “spooky tours” are conducted after dark as it is supposedly one of the top-10 haunted sites in Malaysia. British Generator Room. 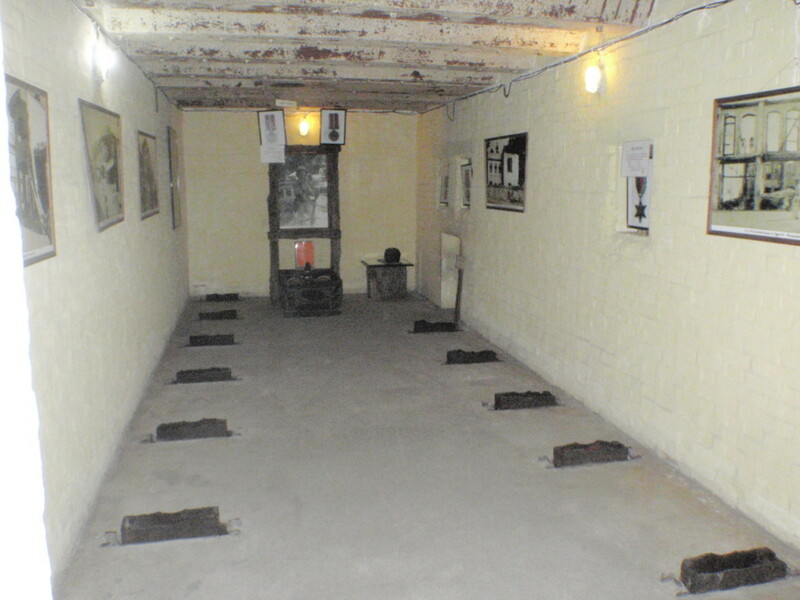 Used by the Japanese as the torture room.Torture relics are still inside. The US M8 armoured car, which would become the US Army’s most important ar- moured car of the war, started life as a design for a wheeled tank destroyer mount- ing the 37mm tank gun. This was originally intended to be a replacement for the 37mm-Gun Motor Carriage M6 (an anti-tank gun on an unarmoured ¾-ton truck) but, by early 1942 it had become apparent, following American observation of op- erational trends in Europe, that there would be no requirement for such a vehicle and the specification was therefore reclassified to that of a light armoured car. The M8 was a six wheeled six-wheel-drive (6×6) vehicle with an all steel welded body, on top of which a round manually operated open-topped turret, mounted a 37mm M6 Tank gun with an elevation of +20 degrees, a depression of -10 degrees and a turret traverse of a full 360 degrees. 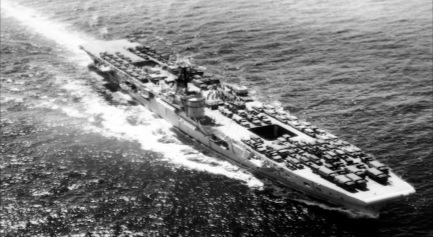 Eighty rounds of 37mm ammunition were carried. 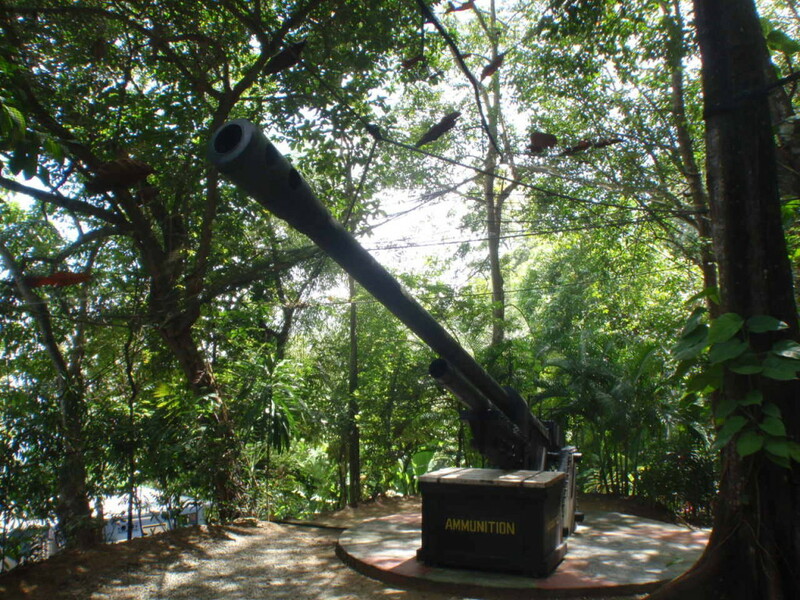 Secondary armament consisted of a 0.30-inch Browning co-axial machine gun and a 0.50-in heavy machine gun on a mounting on the turret top. The four man crew consisted of a driver and co-driver/bow gunner who were seated in the front of the hull (on the right and left respectively), and a gunner and vehicle commander who were located in the turret. The Hercules petrol engine and trans- mission were located at the rear of the hull. The M8 was the most widely-used American armoured car during the Second World War. It was accompanied in service by the mechanically identical Armoured Utility Car M20, which was simply the M8 without the turret but with a ring-mounted ma- chine gun positioned on a raised centre section of the hull. The M20 was normally employed as a command vehicle or personnel carrier and could carry up to six men, according to function. By the last month of the war, when production was finally terminated, some 8,523 M8s and 3,791 M20s had been manufactured by the Ford Motor Company at their St. Paul Factory in Minnesota, United States. In post-war years the US and British Armies disposed of all their M8s, but large numbers were still in service throughout the world, notably in many African and Latin American countries for many decades thereafter. In post-war service many M8s underwent modifications including the fit- ting of a diesel engine, installation of a TOW anti-tank rocket launcher and replace- ment of the 37mm gun with a 12.7mm machine gun.